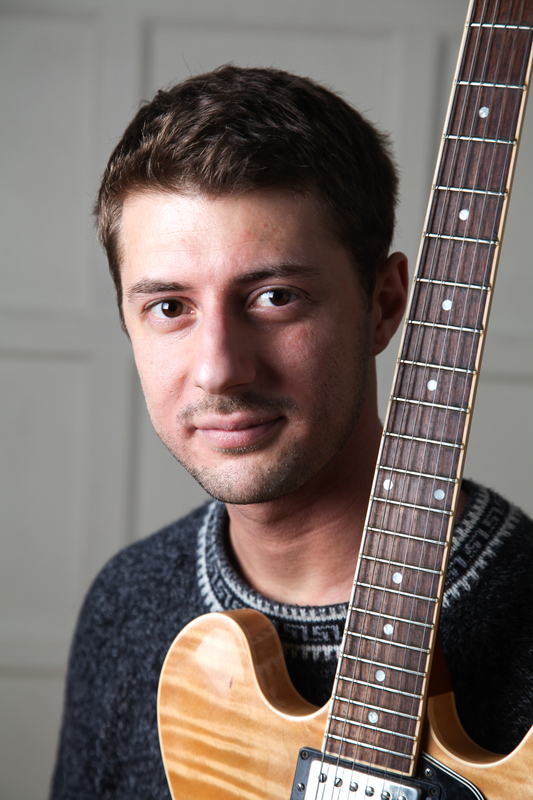 Guitarist, composer, improviser, producer and interdisciplinary artist Alex Roth is gaining a reputation across the UK as "one of contemporary music’s most innovative and impressive talents" (musicOMH). Drawing inspiration from dance, film, literature and visual art as well as a wide range of musical traditions, Alex's work ranges across boundaries, and he regularly collaborates with leading figures from the jazz, improv, contemporary classical, alternative folk and electronic music communities. More recently he has begun to explore ways of expanding the artistic context of his music, developing a multimedia practice that includes work with choreographers, designers, visual and digital artists. 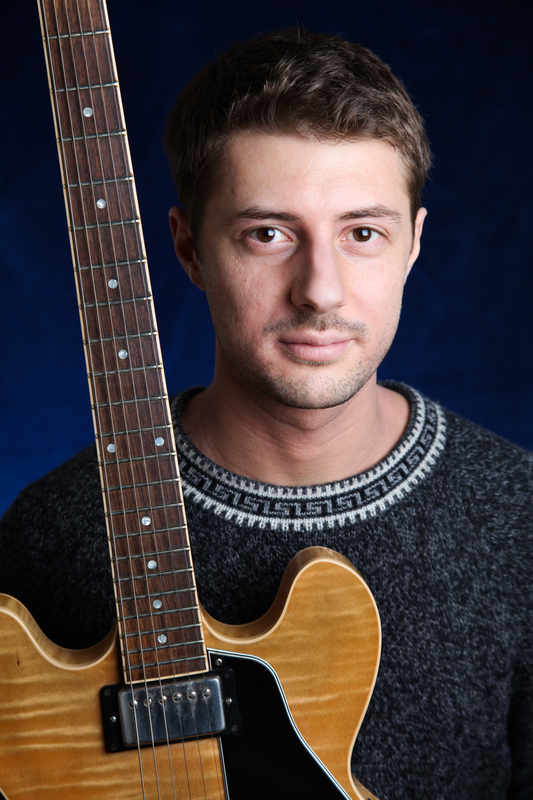 Many of Alex's compositions have been written for the ensembles he leads or co-leads: jazztronica quintet Otriad; art-rock band Blue-Eyed Hawk (whose debut album Under the Moon was named Best Jazz Album in The Irish Times' The Ticket Awards 2014); electric guitar ensemble Future Currents (which will release its debut EP in 2016); and electro-acoustic chamber ensemble Sefiroth, with whom he has re-imagined traditional Sephardic repertoire for a 21st century audience. Other ensembles he has written for include the London Symphony Orchestra, London Sinfonietta, Chaos Orchestra, Balkan-inspired chamber group Yurodny and Rise Saxophone Quartet. He also performs regularly with singer/songwriter Alice Zawadzki (whose debut album China Lane he co-produced) andLaura Jurd's Human Spirit, amongst others. A graduate of both Dartington College of Arts and the Royal Academy of Music, Alex has won many awards, including the 2011 Dankworth Prize for Jazz Composition and the Musicians Benevolent Fund's Emerging Excellence Award. The latter enabled him to develop his first multimedia theatre production Arvoles Lloran por Lluvia, which was also named runner-up in the Deutsche Bank Awards for Creative Enterprises in Performance and Composition and subsequently supported by PRSF and Arts Council England. In 2012 Alex was shortlisted for a BASCA British Composer Award and in 2014 he was selected for both Serious's Take Five scheme and the LSO Discovery Panufnik scheme, through which he wrote his first orchestral composition and was commissioned to write for the LSO Community Choir. In 2015 Alex was named composer-in-residence at the Institute of Composing through Sound and Music's “Embedded” scheme, which saw him working closely with improvising chamber ensemble Notes Inégales, directed by Peter Wiegold, and culminated in the premiere of a large-scale piece for the group with guest soloist John Butcher. The same year, he was also selected as a British Music Collection “New Voices” artist and invited to become an LSO Soundhub Associate. Alex has played at many of the UK's most renowned venues such as the Royal Albert Hall, Southbank Centre, the Barbican, Wigmore Hall, Sage Gateshead and Colston Hall. He has also performed in the US and across Europe from Dublin to Paris to Budapest. Festival appearances include the BBC Proms, London Jazz Festival, Manchester Jazz Festival, Love Supreme Festival, Dublin Electronic Arts Festival, Down With Jazz Festival (Ireland), Jazzdag (Netherlands), Suedtirol Jazz Festival (Italy), GAIA Chamber Music Festival (Switzerland) and Gogolfest (Ukraine). Alex has featured on radio stations including BBC Radio 2, BBC Radio 3, BBC London, Resonance FM, Radio Sveriges (Sweden), Radio 6 (Netherlands), RTRFM (Australia) and RTE Lyric FM (Ireland), and can also be heard on several television soundtracks for BBC1, ITV and Channel 4. Current commissions include a solo cello piece for Manchester-based ensemble Psappha and an interdisciplinary work for London-based Ensemble x.y focused around a second collaboration with choreographer Katarzyna Witek.